A still from the special. Sesame Street at Night? 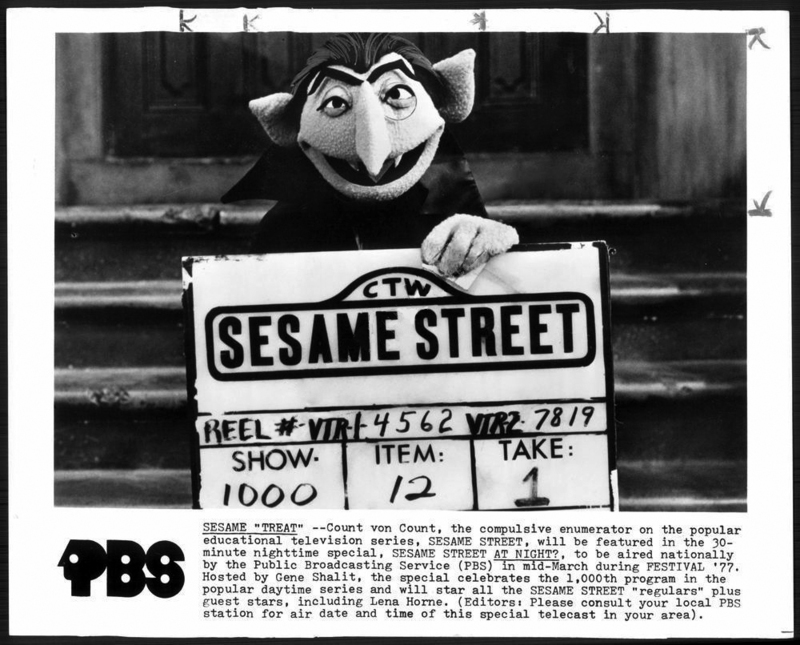 is a half-hour PBS special that aired in March of 1977 to celebrate Sesame Street's 1,000th episode. The question mark in the title is not a typo and actually is the special's name; it's loosely based on a critic's remark when Sesame Street first came out - "it's too good for kids". 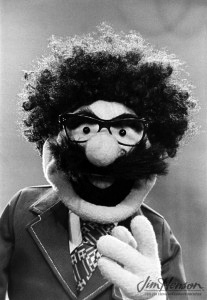 Gene Shalit hosted the special, which also featured a Muppet lookalike of the critic. Featured segments included Grover and Lena Horne singing "How Do You Do?". While Betamax was already common in some homes at that point in time, no one has come forward with a recording. Only a few press releases and photos, as well as an article on the Jim Henson's Red Book blog (run by the Jim Henson Company), prove that this special existed. 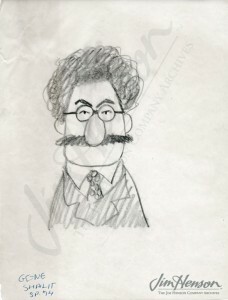 Design of Gene Shalit's Muppet by Bonnie Erickson. Gene Shalit's Muppet as it looked like in the special. 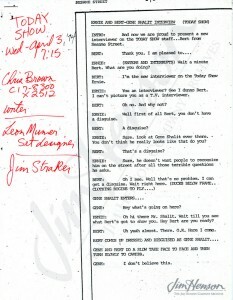 The script for The Today Show appearance with Muppet Bert as Gene Shalit.